Colin is an excellent speaker and a great author, always providing real life examples. 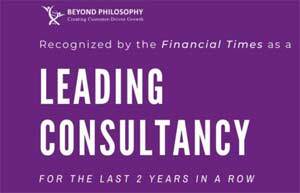 Working with his colleagues at Beyond Philosophy, they have been able to establish a framework with good analytical foundations into providing superb insight to the emotions of Customers. As Customer Experience becomes more important to the future of business profitability through greater Customer loyalty, if you ignore to use the knowledge that he wishes to pass on to you then you are in the wrong job!